Correctly spelling scientific names has never been easy. The words and their forms are unfamiliar to most people. Today’s word processors are no help; their spell checkers could hardly be expected to include the scientific names of even common species. So misspelled scientific names are inevitable. These misspellings can be a problem for anyone doing computerized searches for a particular scientific name. But, for the most part, misspellings are a curiosity and a source of momentary delight for readers. The California condor has been assigned a number of scientific names through the years. In this post, I note some examples of how those names have been misspelled (and do so with trepidation as I have and will surely continue to misspell names). Most scientific names for the California condor have included reference to California. When George Shaw gave the condor its 1st scientific name, he chose Vultur californianus. 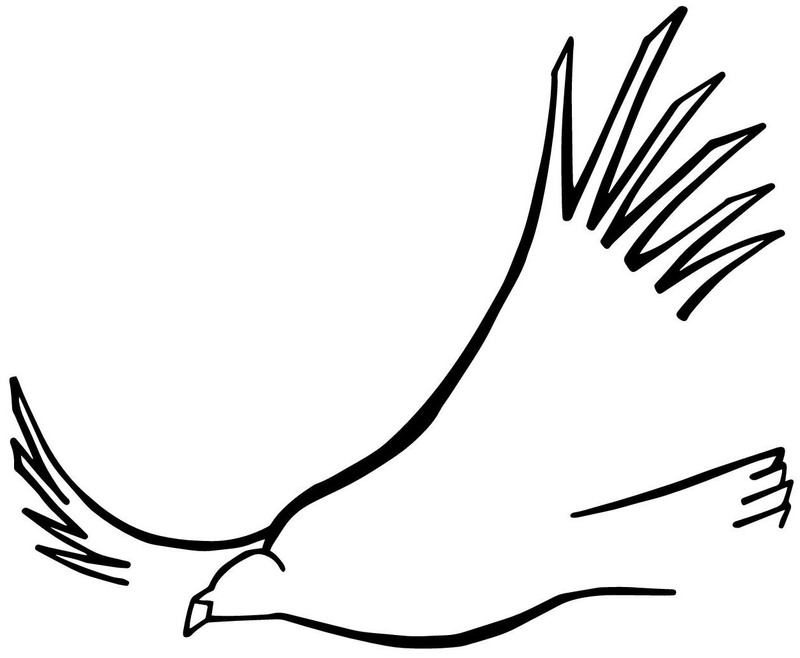 Similarly, the current scientific for the condor is Gymnogyps californianus. That “californianus” in both the 1st and current scientific names is a Latinized form of California. According to the rules of scientific naming all words in names must be Latinate. But there is more than one way to Latinize California. As the scientific name for the condor evolved through the years, some namers chose californiana or californicus instead of californianus. So it is hardly surprising that the different Latinate forms of California have been shuffled around through the years. For example, Gymnogyps californiana appeared in the March-April 1944 issue of the Bulletin of the Chicago Natural History Museum. 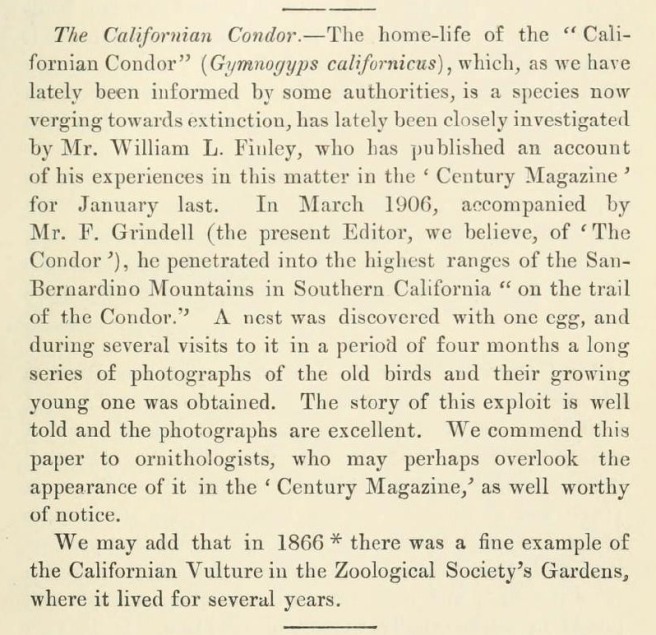 And Gymnogyps californicus appeared in the April 1908 issue of the Ibis. Spelling the Latinized form of California has also challenged authors, editors, and printers. The title of an article in the August-October 1898 issue of the Oölogist included colifornianus. An advertisement in the New York Times for 6 April 1959 gave californiensis. The 1st half of the scientific name has seen even more variation in spelling through the years. This is understandable given that, except for the original Vultur, the 1st half of the condor’s scientific name has been an unfamiliar Greek or Latin word, or a combination of Greek and/or Latin words. That last one – Cyarnogups californianus – is my favorite misspelling of a scientific name for the California condor. For more on the scientific names given to the California condor, see the post 12 scientific names.